Built in 1832, the Delaware Canal runs alongside the Delaware River for 60 miles from Easton to Bristol, Pa. For a century, the Canal operated as a convenient and economical way to transport coal from northeastern Pennsylvania to ports in Philadelphia and New York. Canals like this one fueled the American Industrial Revolution. 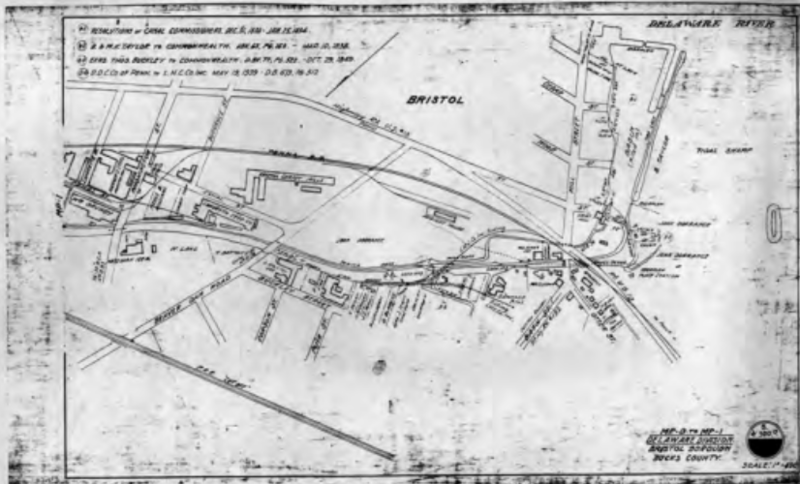 But canals became difficult to operate profitably once railroads were developed. Canals became unprofitable and their budgets were constrained. In 1931 the Commonwealth of Pennsylvania began acquiring sections of the Canal as a state park. The state acquired the whole 60 miles ten years later. Today, the Delaware Canal is the only remaining continuously intact canal of the great towpath canal building era of the early and mid-19th century in the entire United States. The Delaware Canal has been preserved as the last American towpath canal able to be restored and fully-watered. It is a National Historic Landmark and a Pennsylvania state park. Click above to enlarge the image and to learn about the Delaware Canal story, on a timeline from 1831 to 2015.